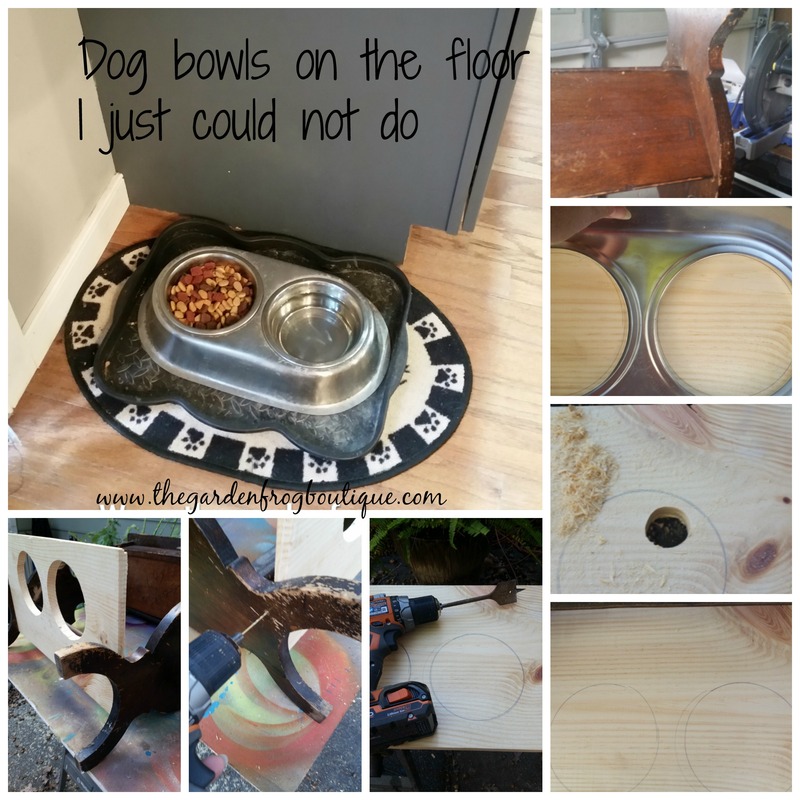 Transform an old wooden magazine rack in to a pet food center easily with a bit of imagination, a couple tools, a board wide enough to hold the pet food bowls, and some paint. I found this beat up and really ugly magazine rack at a yard sale a couple years ago and I knew instantly it would work for my doggy bar pet food center. So shelled out the $8 and packed it in the Expedition and could not wait to get home and work on the new project. The hardest part was cutting the front board which I now know I should have just cut in the middle and knocked it out of place. Oh well lesson learned. Sometimes on older wood pieces, the glue is dried up and no longer holding the wood in place so you can knock the pieces out of the joints. I did not think to try that first – so this is my tip for you. 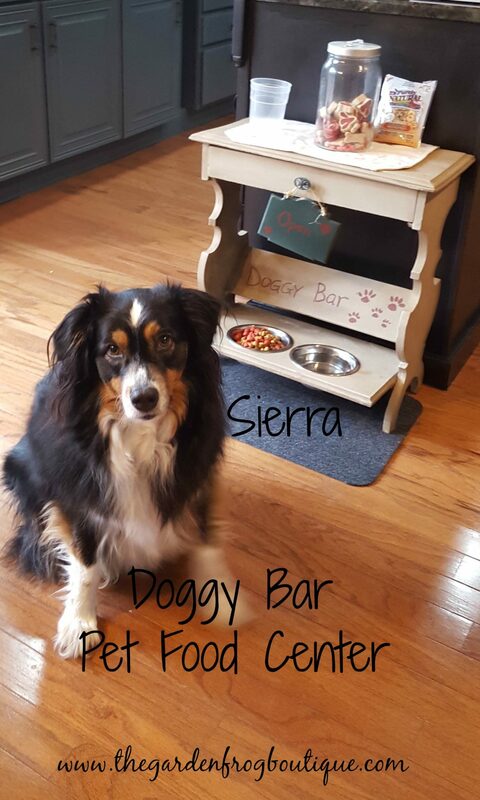 2 years later the fabulous doggy bar is still being used by my 2 dogs Sierra (an Australian Shepherd) and Gerdy Mae (Jack/Fox terrier). The doggy bar was originally at the end of the counter top next to the sink and door but now after finishing my 7 year kitchen transformation I moved it to the end of the island.